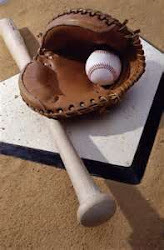 The 2019 MLB season is only a few days old but already we have TWO closer turnovers that serve as a nasty omen for this often troubled and chaotic position. The "fun" started on Friday when we learned Milwaukee Brewers stopper Corey Knebel would miss all of 2019 due to having to undergo Tommy John surgery. While the Brewers remain in touch with free agent Craig Kimbrel, they turned to superstar reliever Josh Hader to nail down a six-out save in their opener and likely will continue to go to him moving forward. Now the caveat here is twofold, with one being that there is almost no way Hader can throw 80-plus frames at that type of velocity like he did a year ago and also manager Craig Counsell has always let it be known he prefers him in a setup capacity. Unfortunately, semi-closer Jeremy Jeffress is down himself with a shoulder injury and so that leaves the sketchy Matt Albers as a possible option that is not too appetizing. So Hader it is but the Kimbrel rumors should only grow hotter. Meanwhile, Seattle Mariners closer Hunter Strickland failed to build on the good work he did in the Japan series but serving up a home run while blowing a save in spectacular fashion to the Boston Red Sox late Friday and is now likely headed to the IL with shoulder trouble. With the Mariners having already traded top-tier closer Edwin Diaz to the New York Mets over this past winter, the options behind Strickland are not looking good by any means. Corey Gearrin looks to be next-in-line but the journeyman reliever is far from a sure thing and in actuality could be brutal in the ninth inning for all we know. Tread carefully.